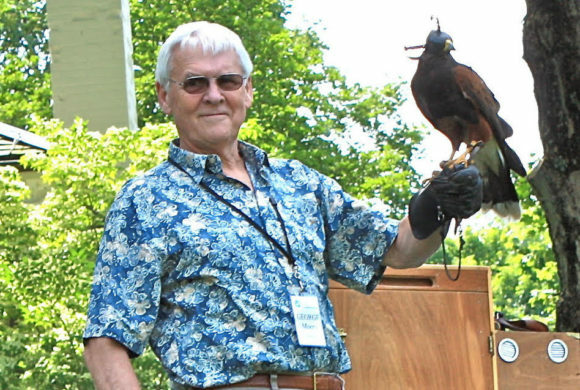 George Moore, Lyme Land Trust Executive Director, has announced his retirement. George Moore, the Land Trust’s Executive Director for the last five years, has announced that he will be retiring when his replacement can be brought on board. Prichard noted that among his many accomplishments – in addition to the day-to-day management of the Land Trust — are building the Land Trust’s membership to the point that it represents half the households in Town; the acquisition of numerous preserves on his watch, including Chestnut Hill, Walbridge Woodlands, Banningwood and most recently, Brockway- Hawthorne; assisting with securing the coveted national accreditation from the Land Trust Alliance; initiating the President’s Circle composed of the Land Trust’s most generous supporters; arranging for the production of the PBS film on the Land Trust and conservation in Lyme, as well as its sequel, The Rest of the Story (both of which can be viewed here); and organizing and managing the Land Trust’s highly successful annual fundraiser, a regionally recognized, fun and scenic biking event for all ages and abilities: the Tour de Lyme.